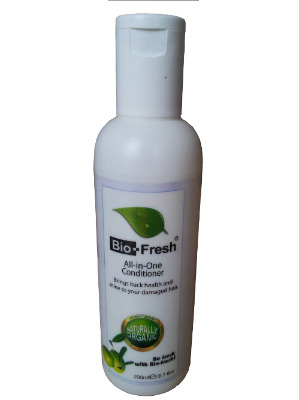 Bio-Fresh conditioner revitalizes dry over processed hair. Its naturally organic ingredients moisturize, smooth out and leave scalp shiny and lustrous. Hair will not only look naturally beautiful and strong on the outside but also healthy from the root to the tips. Bio-Fresh products use only certified natural ingredients and none of the products are tested on animals. The ingredients are free from toxic and harmful synthetic chemicals and are eco-friendly. Bio-Fresh hair care products shampoo use mostly extracts from olive, rose, aloe-vera, tea tree oil, jojoba oil, rosemary and lavender oil. 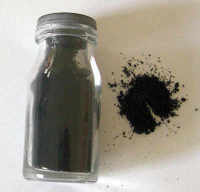 They also use a forming agent that is from palm oil and other vegetable origin certified ingredients. Main ingredient for the hair care product is Aritha (Sapindus Laurifolia). This ingredient is present in every bottle across the shampoo range. Aritha is a famous herb used in Asian and African countries for washing.The seeds of the fruit are crushed to make natural quality shampoo by the local tribes.